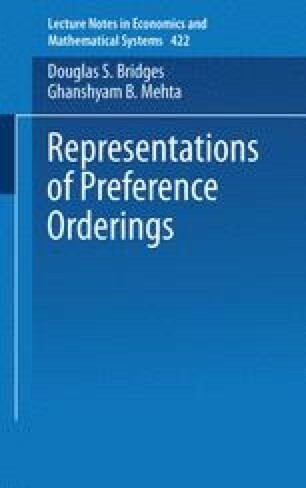 This chapter deals with the representation of a total preorder on a differentiable manifold by a differentiable order isomorphism. Section 1 contains basic definitions, and the fundamental theorem of Frobenius, from manifold theory. Using that theorem, we establish in Section 2 the existence of local differentiable order isomorphisms. Finally, in Section 3, we prove the existence of differentiable order isomorphisms.